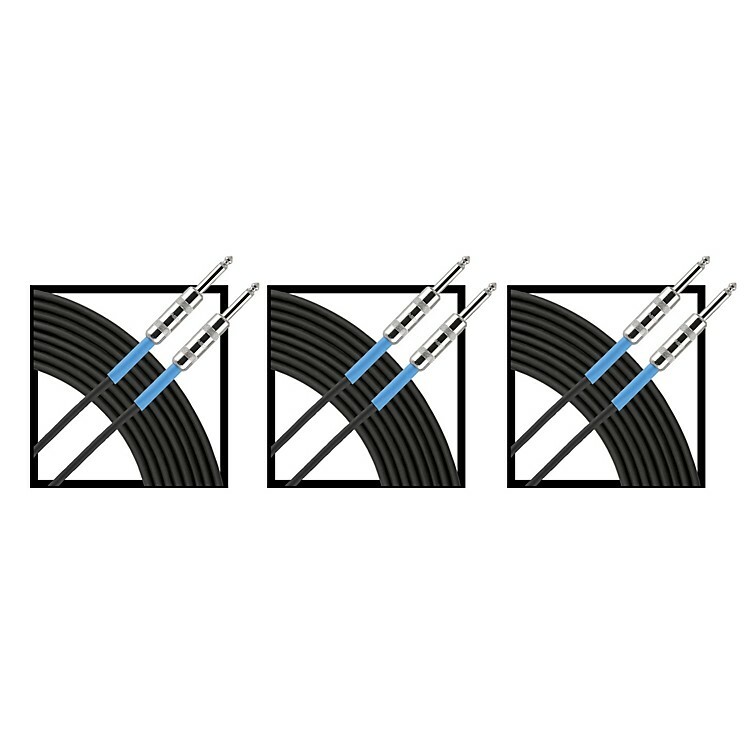 Three-pack of reliable 10' instrument cables. Three cables at a bargain. Instrument cable with Neutrik connectors, 20-gauge copper core and braided copper shielding (95% coverage); strain relief and heavy PVC jacket. Livewire Advantage Series represents ruggedness and reliability without compromises in clarity and detail for studio, stage or broadcast. You'll need them. Order today.